Lite Enterprises (LITE) and Tuskegee University (TU) have teamed to apply the combined benefits of LITE’s non-lethal wildlife deterrence technique with TU’s knowledge of improved polymer nanocomposite materials to be address the mitigation of aircraft bird strikes. The utilization of TU’s Materials Science and Engineering (MSE) prior research in novel fabrication techniques of polymer nanocomposite materials has demonstrated improvements in material strength and thermal capabilities over conventional materials used as aircraft components today. The goal of the effort is to mitigate the number of aircraft bird strikes and increase the survivability of the windscreen to a bird strike if it occurs. “The FAA has identified that helicopter are significantly more vulnerable than airplanes to bird strikes, since they routinely fly at lower altitudes, at high speeds, and often in locations where bird populations are large. The helicopter windshields have been shown to be particularly vulnerable and poses a great threat to the flight crew when they fail.” stated Donald Ronning, President Lite Enterprises. 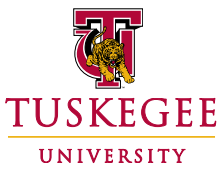 He went on to say that Tuskegee University has previously demonstrated a high strength polycarbonate manufacturing process that could prove to be of great benefit. The research activities include chemical synthesis and analysis, surface analysis, processing, and performance evaluation of a variety of nanocomposite materials. The processes and knowledge developed through this research will be narrowed to a few polycarbonate-type nanocomposite material(s) for further investigation of suitable fabrication technique enabling embedded high brightness UV-LEDs as part of the fabricated component. Lite Enterprises has previously demonstrated the ability to use high brightness UV-LEDs which is similar to what humans experience from solar glare. The increased awareness and reaction time of the birds to the UV light is likely to change an otherwise bird strike event into a near-miss event. These research activities are expected to generate new knowledge about the interaction of nanoparticles with embedded electrical components in developing new aircraft components that enable the mitigation of aircraft bird strikes. Additionally, the effort will involve the participation of students involved in the Master’s and Ph.D. degree program in Materials Science and Engineering. The number of aircraft/rotorcraft bird strikes in North America is estimated to cost of $800M/yr.